With more than 100,000 costumed visitors last year alone. Whether you associate it with the talking black cat from “Sabrina The Teenage Witch,” the thriller television series, or the notorious witch trials of the 1600s, “Salem” is synonymous with spooky. Previously a sleepy New England town with a dark past, Salem, Massachusetts became a capitol of the occult in the 1970s. After the popular TV show “Bewitched” filmed a Salem-centered story arc, tourists began flooding the town in search of real-life witches. The small city’s tourism industry boomed with the opening of witch shops selling everything from potions and crystals to tarot and psychic readings. 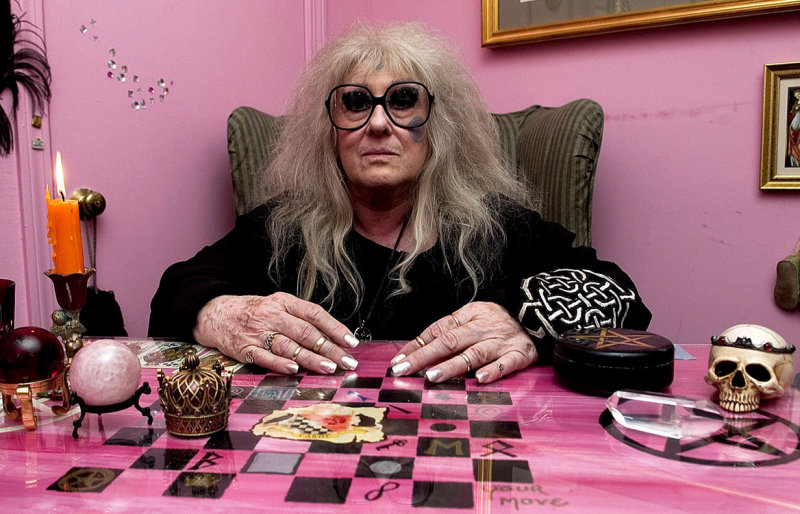 Laurie Cabot, the owner of the city’s first occult shop, was even named the “Official Witch of Salem, Massachusetts” by then-Governor Michael Dukakis. If you’re just passing through or simply witch-curious, Salem has lots of eerie attractions to keep the Halloween-y vibe alive year-round. First stop: The Witch House, the only structure still standing in town that has direct links to the witch trials. Formerly the home of Jonathan Corwin, one of the witch trial judges, this house is a must-see for history lovers and haunt-seekers alike. The Salem Witch Museum will also scratch that creepy itch, open all year long except for Thanksgiving, Christmas and New Years Day. (Halloween in July, anyone?) If the witch hunt stories don’t get you, the life-sized historical recreation dolls certainly will. In September of 2016, Salem got a new sinister resident: the headquarters of the Satanic Temple. Set up in an old funeral home (of course), the opening drew little to no fanfare. 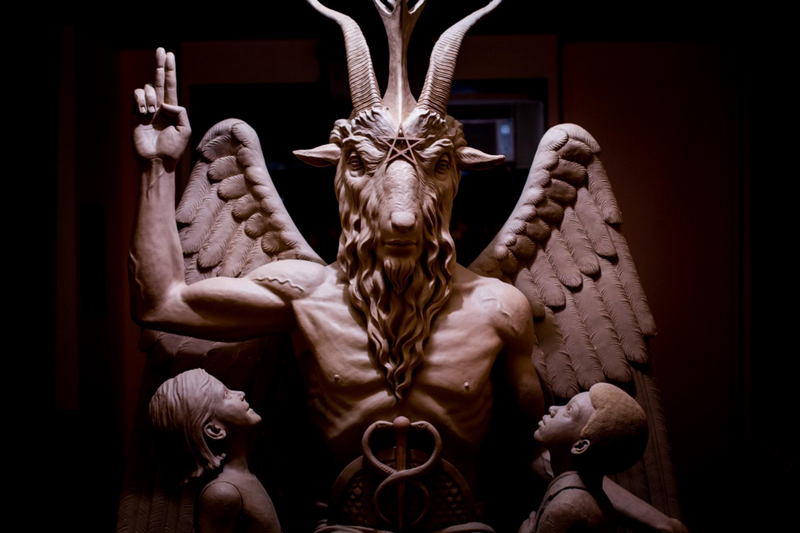 The Satanists’ monument of Baphomet (that’s the half-goat, half-man deity), which had previously drawn protesters in Detroit, didn’t spark so much as a raised eyebrow in Salem. 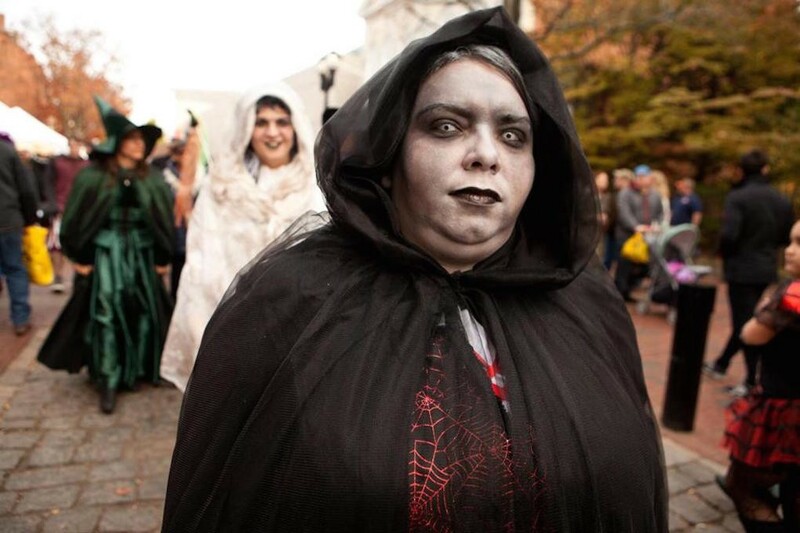 Between the the town’s dark history, thriving occult culture, and love of all things spooky, Salem is the closest thing to a real-life “Halloweentown.” Stop by any time of the year to experience a place where the eerie is ordinary.